When Zoe Zien decided to leave Miami City Ballet after 13 seasons in the corps, she wasn't sure what was next—she just knew it was time for a change. "My plan was to move back home to New York City and figure it out," she says. At a party celebrating her last performance, Peck approached her and asked if she'd be interested in staging Year of the Rabbit for Houston Ballet (she had danced the pas de deux at MCB, among other Peck ballets), and if she would serve as associate choreographer for the Broadway production of Carousel. "It changed my life, especially Carousel," Zien says. 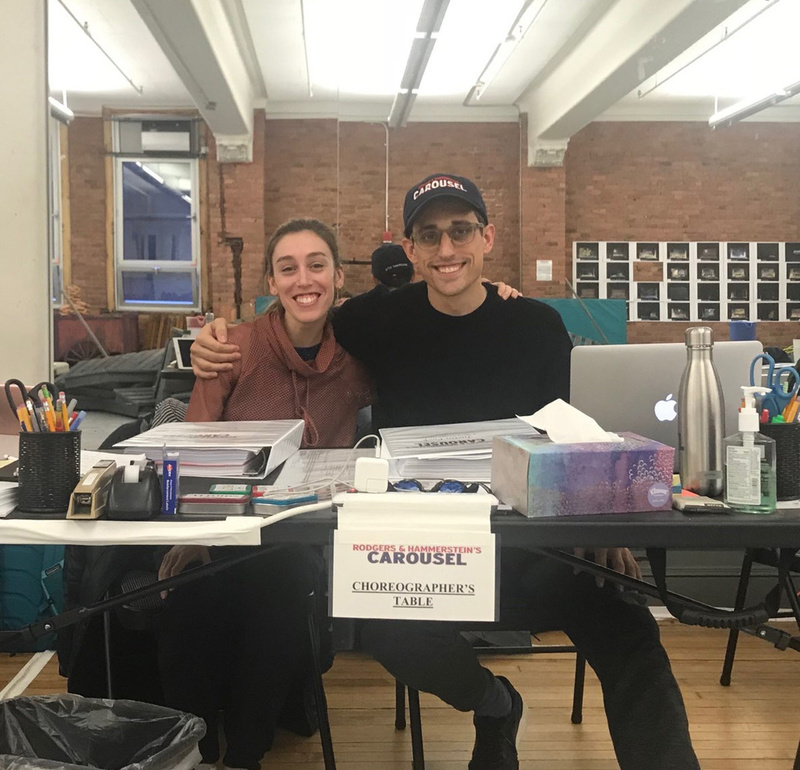 She's spent almost a year and a half working on Carousel, from the pre-production labs to the current run. She says her experience in Houston being on the other side of the studio was exciting, but Carousel offered a more in-depth, creative experience. "I started with note taking and making sure dancers were getting what Justin wanted, but it evolved to where I was someone he would bounce ideas off of, and I'd give input," she says. "There were a whirlwind of creative changes in the run up to the premiere. I worked with the director and the whole creative team, the business side too. It was a thrill to experience." It made her rethink what creative possibilities she wants to pursue. "I have the desire to create," says Zien, who grew up watching her father act on Broadway. "Theater, storytelling, directing, choreographing, the whole package is interesting to me. Carousel sparked something." 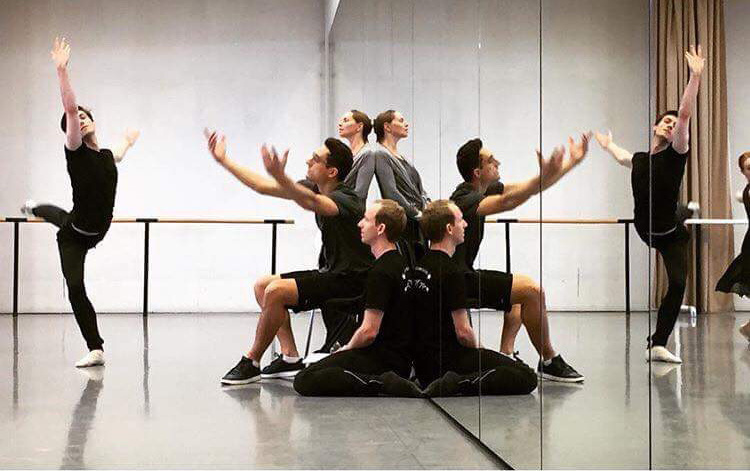 After 11 years at NYCB as a corps member, Christian Tworzyanski made a bold move: He left familiarity behind for a company with completely different repertory in a new country, Les Ballets de Monte Carlo in Monaco. His first assignment: Paris Opéra Ballet. "It was intimidating. I had never staged anything before," says Tworzyanksi. "But I told myself, 'You have a job to do.'" He spent time with the video learning roles of the other dancers, but also dug deeper. "I asked Justin the thoughts and meaning behind the steps," says Tworzyanski, who shared a dressing room with Peck at NYCB. "I was nervous for him to see what I had done in Paris. I wanted it to be true to his vision." Peck was pleased. Since then he has asked Tworzyanski to stage the work at Ballet Austin, The Washington Ballet and BalletMet. Tworzyanski also took on another ballet with a much bigger cast, Paz de la Jolla, staging it for National Ballet of Canada, and coming up next season, Bordeaux Opéra Ballet in France. Staging Peck's work pushed Tworzyanski to get comfortable in the front of the room. During his time at Ballet Austin, he asked a longtime friend in the cast what he could do better as a stager. "She told me to be more confident, that I can tell people what they need to hear. I'm in charge," he says. This year, he'll take a major vote of self-confidence by leaving Monte Carlo to freelance. He plans to stage Peck's work, perform and teach. "I've grown so much professionally and artistically, but I want to expand even more," he says. When Craig Hall pictured his life after performing, it didn't include ballet. "I thought I'd become a photographer," Hall says. "I never thought about staging work." The former NYCB soloist says that he used to tease the younger Peck when he first joined the company. But he soon realized Peck was a talented partner and started coaching him. "Justin told me he liked my approach to explaining things to dancers, that I broke things down in a way that made them get it," Hall says. After Evans passed away, Peck needed a new in-house ballet master at NYCB. He asked Hall if he'd stage Year of the Rabbit at Miami City Ballet with fellow dancer Janie Taylor. "I worried, if I'm not dancing, will it be as exciting or creative?" Hall says. "But it was almost more creative, because I was like a puzzle master, putting all the pieces into place, not just my own role. Plus working on the lighting, costumes and the orchestra, it was exhilarating." Shortly after that, Hall retired from the stage and became a full-time ballet master for NYCB working on Peck's ballets. When ballet master in chief Peter Martins abruptly resigned in January of this year, Hall was appointed one of four interim company directors. "I learn new skills every day," Hall says. "To see what it takes to make the machine of a ballet company run, it's amazing, and it all started with me saying 'yes' to Justin." Miami City Ballet has many revered principal dancers, but the Delgado sisters, Patricia and Jeanette, hold a special place there as homegrown talents. They were born in Miami and trained at the company's school. So it was a surprise when Patricia announced she was leaving the company last year without specific plans. Delgado had first worked with Peck at Nantucket Dancing Festival during a layoff from MCB. The gig was alongside NYCB dancers, which she says pushed her out of her comfort zone. Then, with little notice, she quickly learned the pas de deux from Year of the Rabbit, and performed it in Moscow at the Benois de la Danse awards. "I was hungry for more," she says. "Down in Miami, we didn't have too much new work created on us. I did a lot of Balanchine and I loved it, but it didn't feel innate. Working with Justin felt like home." She left MCB with just one gig booked—staging In Creases at Boston Ballet, an experience she calls the "highlight" of her career. "I was bitten by the répétiteur bug," she says. "Staging the work is like sharing happiness, seeing them master it. After the third cast ran it for the first time—and they hadn't gotten to rehearse much—I cried at seeing it come together." She staged Heatscape with her sister at Dresden Semperoper Ballet later that year, a piece they were both in the original cast of at MCB. She's also still performing, including in works by Peck. Delgado says she feels a bit like a psychologist when she's staging ballets. "Seeing how people process work, are they getting in their own way? Are there social challenges? You learn a lot about people in the front of the room," she says. Delgado will assist the latest recruit to Peck's crew, former Miami City Ballet dancer Michael Sean Breeden, with In Creases at Ballet Arizona next month. "I'm excited for him," she says. "I feel like a changed person from a year ago." Hall has dubbed Peck's répétiteurs "The Pecking Order," and Delgado calls them "RePecktiteurs." Whatever their name, as the demand for his work rises, Peck will surely change the lives of many more.